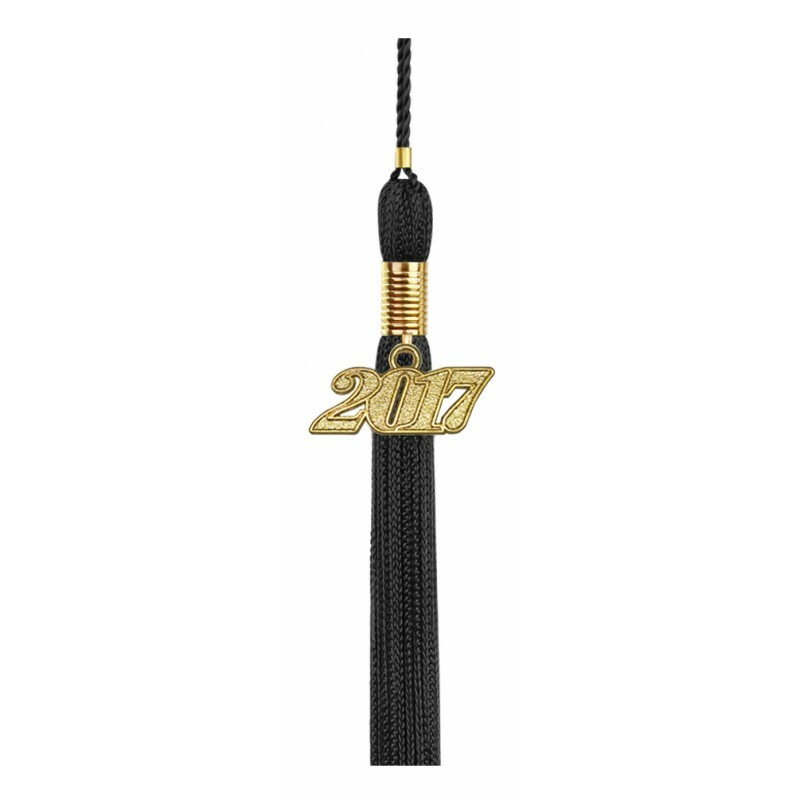 Black High School Graduation Cap, Gowns & Tassels Packages. This traditional black graduation cap, gown and tassel set, comes in a variety of sizes to fit all high school graduates. 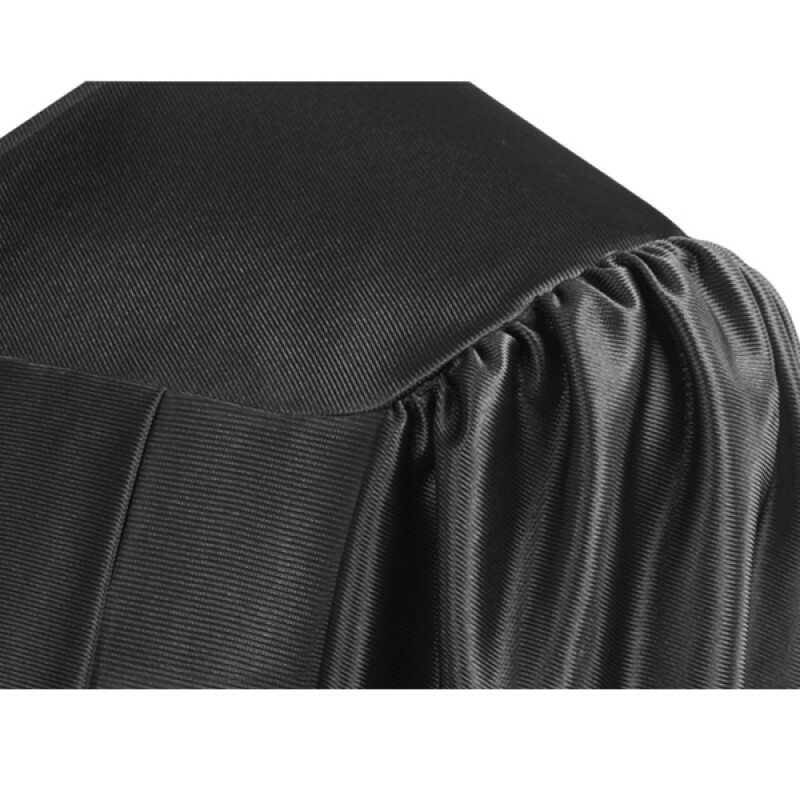 The fabric for the graduation robe and cap is made of shiny tricot fabric. The black mortarboard cap measure 9.4"sq, and is designed to include elastic at the head rim for a comfortable fit. 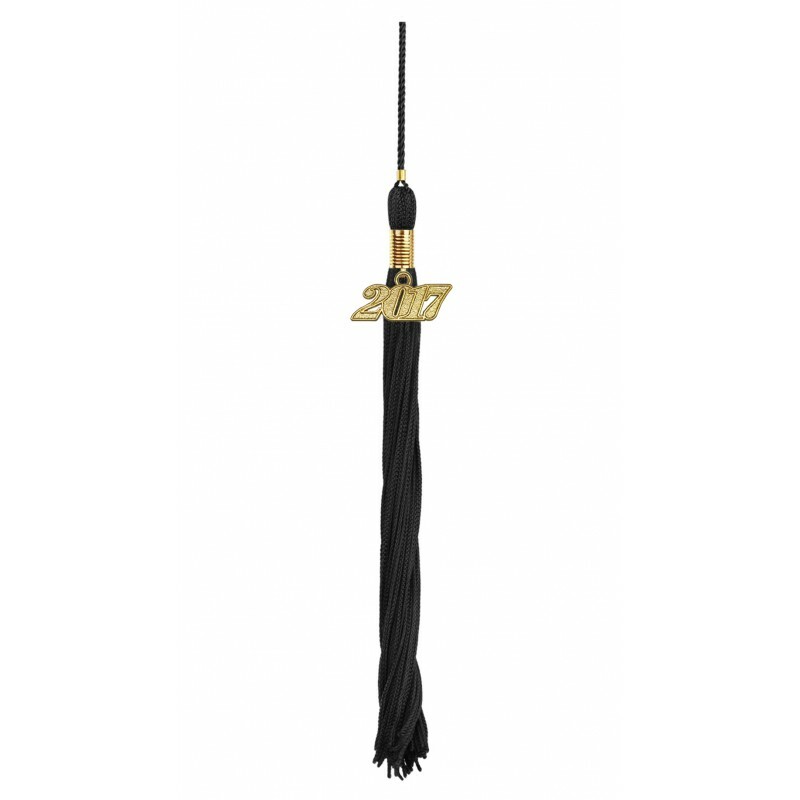 You get to choose the color of your cap tassel from a variety of colors and the tassel includes a current year signet. All this at discount prices when shopping online at Gradshop. Just what everybody is looking for. 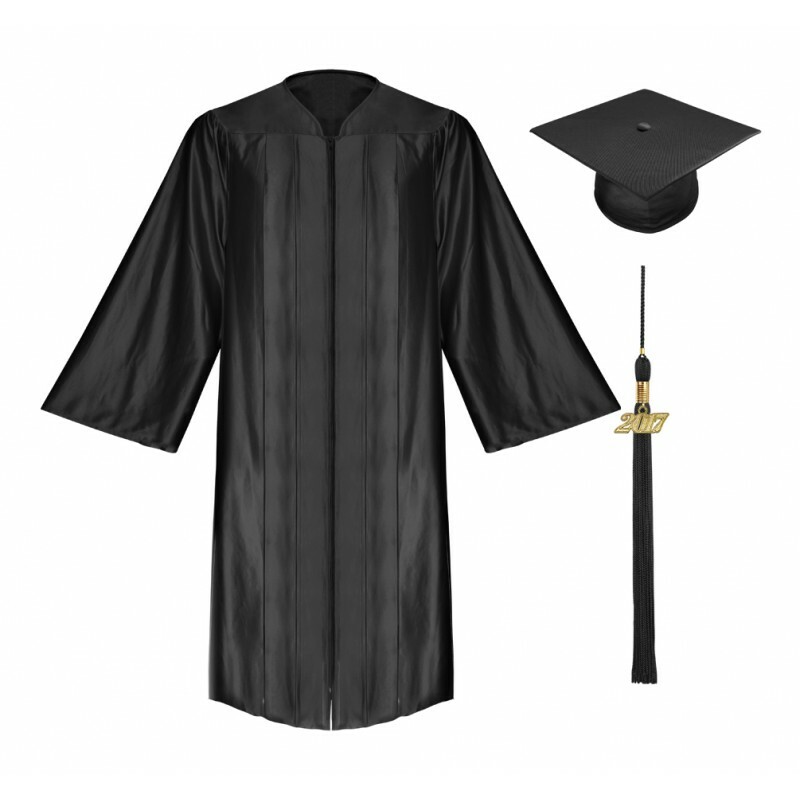 This shiny black graduation set is what caught my eye browsing through sites online. It’s a really nice buy. Glad to have this item. All the shops in town ran out, so we had no choice but to order online. We were happy upon seeing the set for ourselves when it arrived. 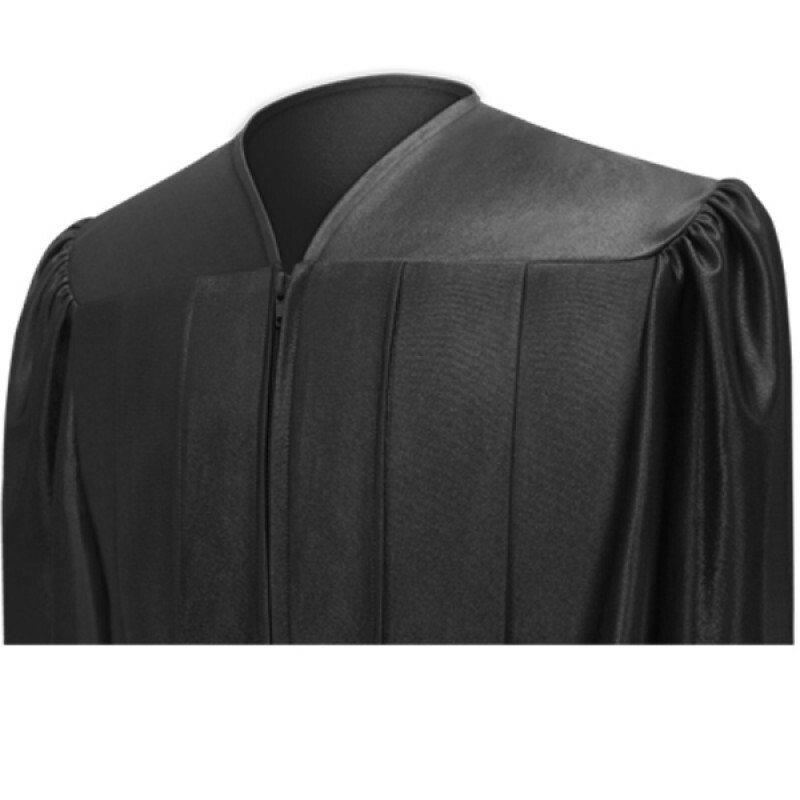 We can surely use this for future graduation ceremonies. Shiny and black as night. It blends well with a dark-haired individual like me. Made me look really nice during my graduation.